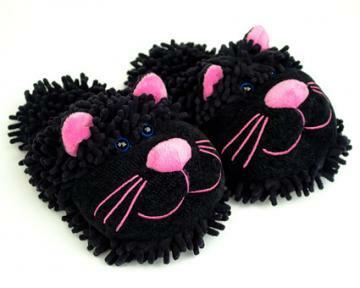 These cute and comfy blue eyed Cat Slippers will make you feet purr with comfort. 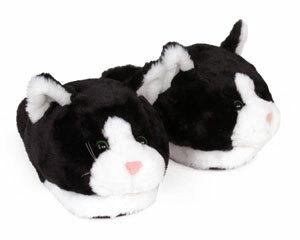 The super soft faux fur and large twistable cat head will keep your toes warm on chilly nights. 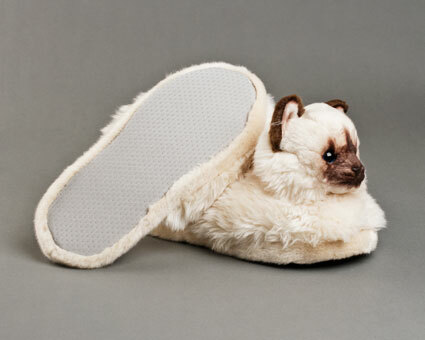 Features a durable, non-slip, one inch thick sole, these slippers will strike the fancy of any cat lover. So cute!! We love them! So cute! They look warmy and comfy. Hope my daughter loves her Xmas gift. Thank you bunnyslippers! 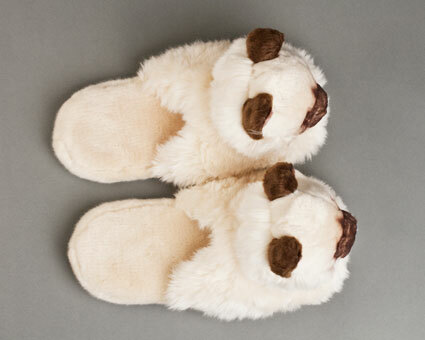 These slippers surpassed my expectation - comfy, cute, good quality, fast shipping. I will definitely buy from you again! My wife love her slippers. Advantages: My wife's feet will be very warm this winter. They are beautiful. My granddaughter simply loved them. 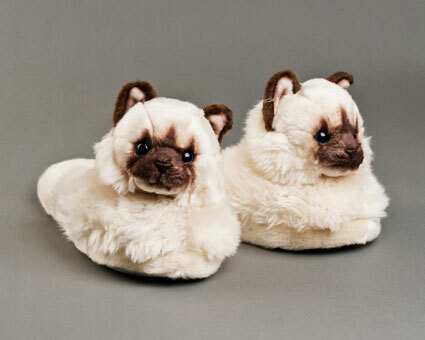 They are the cutest slippers ever. 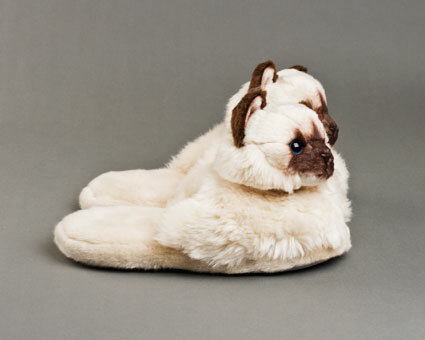 These cat slippers are beautiful. They were better looking than expected. Spoiler alert!!! 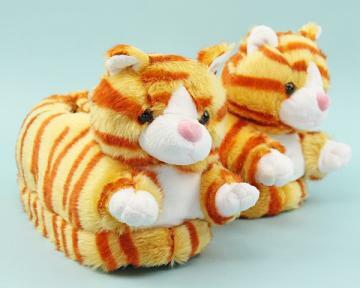 The heads of the kitties can rotate to look to the sides. Advantages: The furs are soft. The appearance is great. The heads can rotate. Disadvantages: The sponge bottom is thin. They are comfortable for the first few weeks but they flatten out very quickly. The body of my slippers are still be in semi new condition but the bottoms are no longer comfortable after 2.5 months.